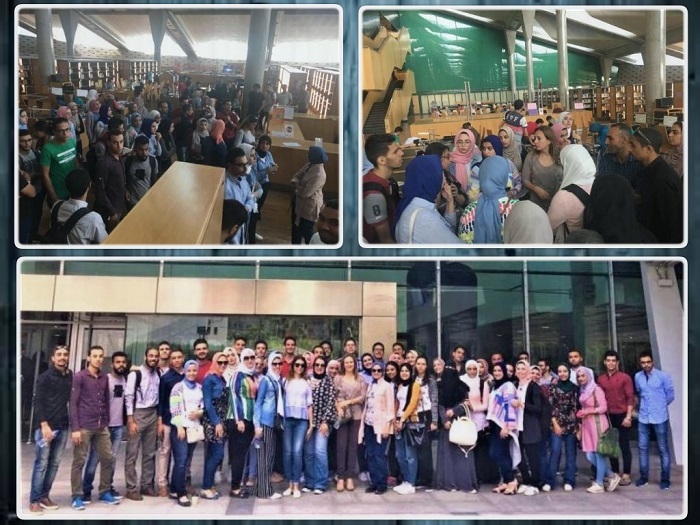 Under the auspices of Prof. Ramadan Abdel Maqsoud, the Head of the Architectural Engineering Department, a field trip was organized to Bibliotheca Alexandrina (the Library of Alexandria) on Wednesday 10/10/2018. This trip was considered an application to the Architectural Design Course taught for the Department senior students. The coordination of the trip was managed by Associate Prof. Dina Nassar, Dr. Injy Al Sherief and Dr. Injy Naguib. 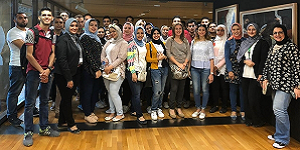 The Architectural Engineering delegation was received by Ms. Sara Sorour, the Director of the Center of Francophone Activities who accompanied them to the Library Foyer. The delegation met there with the Library tour guides who escorted them in a tour around the spaces of the Library, the Main Library, the Manuscripts Museum and the Impressions of Alexandria Exhibition (the Awad Collection). Then, Dr. Faten Fares from the Engineering Management Department accompanied the delegation to explain the spaces designed in the staff rooms and the stores of books.